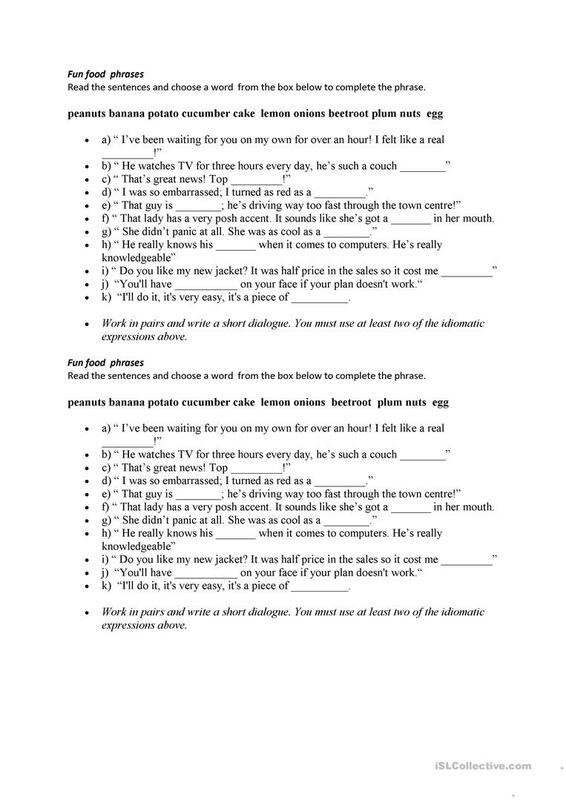 Read the sentences and choose a word from the box below to complete the phrase. This downloadable worksheet is meant for elementary school students at Elementary (A1) level. It is a useful material for teaching Verb phrase in English, and is useful for developing your pupils' Reading skills. It focuses on the vocabulary topic of Food. klakola is from/lives in Croatia and has been a member of iSLCollective since 2012-11-07 21:40:28. klakola last logged in on 2017-12-05 19:41:32, and has shared 1 resources on iSLCollective so far.